PixelLogin is a security plugin user registration that allows people to have an account to enter the server preventing other players from using their username without their permission. Prevent people who are not connected from doing things like placing blocks, moving, writing commands or viewing the current player’s inventory. Add the automatic session start for players with premium account and also add an extra security system by pin code with a menu for staff members or for all users. *Prevent spoofing by non-premium players. *UUID-fix and Skin-fix for premium users. *Cracked players using a premium name can not connect to the server, unless you register an administrator. *Redirect cracked players don’t using premium username to a specified server (Optional). *All passwords are encrypted (MD5, SHA256, SHA512). *Double security layer with pin code (Optional). *Shows tablist head icons for premium players. *Locking player who has not logged on. *Installation on the BungeeCord server (Required) and Bukkit / *Spigotservers simultaneously to increase security (Optional). *Limit the maximum number of accounts that can be registered with an ip. *Use session so that non-premium users do not have to log in again. /register <password> – To register on the server. /login <password> – To register on the server. /unregister – To delete the user’s account. /changepassword <newpassword> – To change the user’s password. 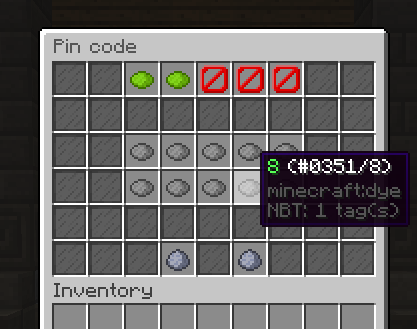 /pin – To place the pin code in the GUI menu. 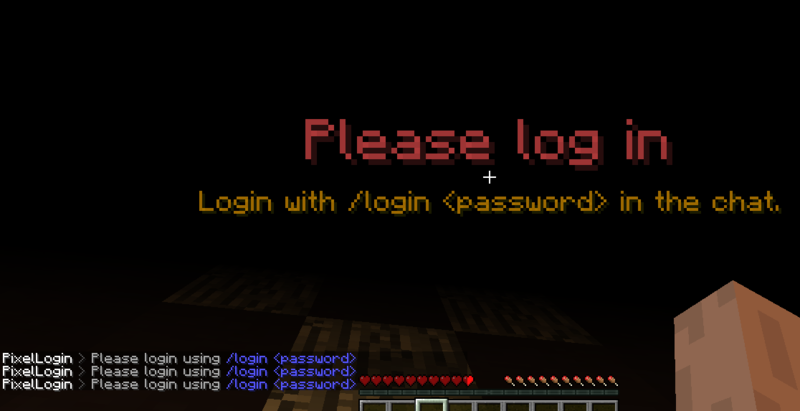 /pixellogin register <playername> <password> – Register a player’s account. /pixellogin unregister <playername> – Delete a player’s account. 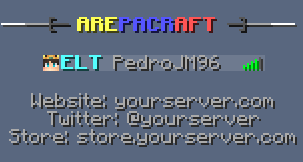 pixellogin.player.register – To register on the server. pixellogin.player.login – To register on the server. pixellogin.player.unregister – To delete the user’s account. pixellogin.player.changepassword – To change the user’s password. pixellogin.player.pin – To place the pin code in the GUI menu. pixellogin.admin – To use administrative commands. pixellogin.admin.register – To register the account of a user name. pixellogin.admin.unregister – To delete the account from a username. pixellogin.staff – To detect the staff members, when the login with pin code is placed for the staff. Copy the JAR file in the directory of plugins on your server BungeeCord. Set 'ip_forward' to 'true' in 'config.yml' in BungeeCord server. Configure ports on your server to avoid income from other servers. Enter the MySQL information in the 'config.yml' file of PixelLogin on the BungeeCord server. (Optional) Install the plugin in your login server to enable the titles, pin, effects and improve security at the Bukkit / Spigot level. Copy the JAR file to the plugin directory of your login server (Bukkit / Spigot). (Optional) Install the plugin on all its servers to enable titles, pin, effects, and improve security at the Bukkit / Spigot level on all servers. Copy the JAR file to the plugin directory of all your servers (Bukkit / Spigot). Restart all servers to install. WaxtzCraft and alexlazarev like this. una pregunta!. Los permisos en donde los pongo, en el servidor Auht o en el servidor BungeeCord! org.bukkit.plugin.messaging.ChannelNotRegisteredException: Attempted to send a plugin message through the unregistered channel `PxelLogin'. Try to add 2fa protection working with RFC 6238.